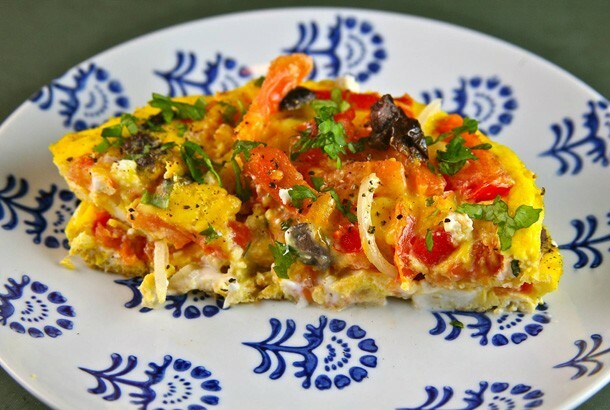 Are you looking for a quick Mediterranean Diet breakfast recipe that is packed with protein? Start your morning with tasty Eggs And Tomatoes, The Cretan Way. This delicious breakfast features some of the healthiest of Mediterranean ingredients. And it’s both mellow and comforting. This open-faced omelet would go very well served atop a piece of sourdough bread. 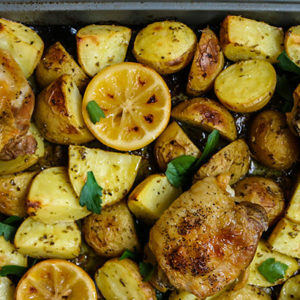 You can add garnishes of you favorite herbs to add brightness to the flavor. Feel free to consider this dish for brunch, lunch or dinner with a Greek salad. Saute the tomatoes in olive oil for 10 minutes in a large frying pan. Add the olives and cook for 5 more minutes. In a small bowl, beat the eggs and add to frying pan. Cook eggs on medium-high until they begin to set. Add feta cheese. Cook to desired consistency. Salt and pepper to taste.